2) The Franchise Agreement is a legally binding contract between the franchisor and the franchisee. It describes the duties and obligations of both the franchisee and the franchisor, including franchise fees, rights to renew, fees, insurance requirements, grounds for termination, and consequences of termination. All Franchisees will be required to sign the same Franchise Agreement. The Franchise Agreement typically provides the following assistance and protections to the franchisee: training, suppliers, marketing, management, business set-up, business development, and accounting systems. Most typical Franchise Agreements are generally non-negotiable, including: the term of the agreement, logos and trademarks, ingredients used, brand-specific supplies, operating processes, rights of first refusal, rights of approval. But, the following terms are sometimes negotiable: transfer fee, royalties, territorial rights, and terms of payment for franchise fee. However, when entering into negotiations with a franchisor, you must consider the franchise you are purchasing when determining how far to go in the negotiations. Franchisors which have successfully existed for several decades or more rarely negotiate the terms for payment of their fees or the size and scope of territorial rights. 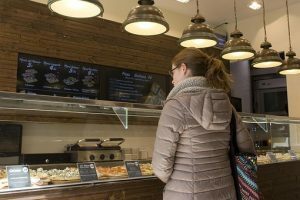 The smaller and the newer a franchisor is the more likely they are to be flexible regarding the fee payment structure and territorial rights, but they may be riskier. Furthermore, if you are purchasing an existing franchise from its current owner, rather than a start up from the Franchisor, there will room to negotiate the sales price with the seller. You must analyze and consider the strength of the brand, advertising efforts, the lease, and the re-sale location regarding foot traffic and demographics. Every situation is unique, and can sometimes be leveraged to negotiate the sales price with the Seller of the franchise. And, it is important to keep in mind that you will still be required to enter into a Franchise Disclosure Document and Franchise Agreement. Call us at (973) 890-0004 or email us to schedule an appointment with our business attorneys.